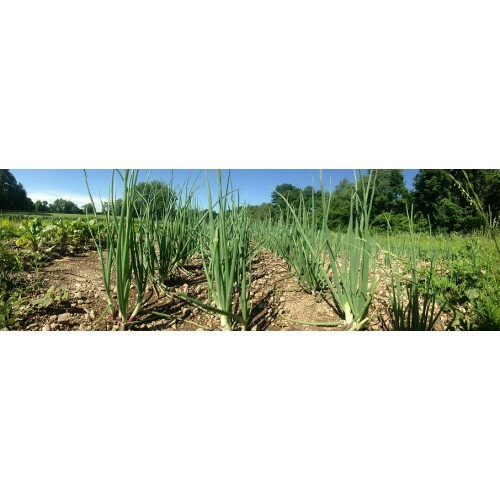 Lineage Farm is located 25 minutes southeast of Hudson, in Copake, NY. The vegetable farm is run by Jen and Jon Ronsani, who lease their vegetable acreage from Northeast Farm Access (NEFA). After five years searching for a long term home for their farm, farmers Jen and Jon are excited to be carving out their new homestead and farm, where the landscape, land-owners, and community are supportive of a beautiful, healthy, diversified farm. 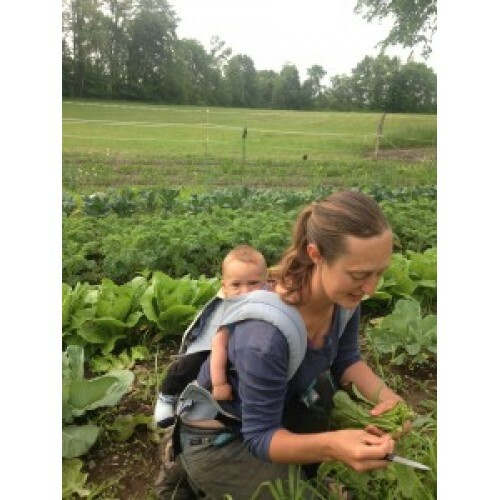 The land in Copake is currently in its second year of transitioning to organic status, after many years in hay and row crops. The soil is excellent vegetable growing Stockbridge silt loam, and was in organic vegetables, cows, sheep, and cut as hay last year. Our Farming Practices: Our growing techniques revitalize the soils we work and the region and community that our farming impacts. The farm is experienced as an individual organism whose goal is to be self- sustaining. The farmers’ task is to ensure the health of the farm both within and in relationship to the greater community. Our management practices build vigorous, complex communities of plants, animals, microorganisms, insects, and people – without chemicals, genetically modified organisms (GMOs), or heavy reliance on fossil fuels. Products: Sample Seasonal Vegetables to choose from each week: June: Arugula, Spinach, Radishes, Turnips, Kale, Chard, Carrots, Lettuce, Cabbage, Asian Greens, Chinese Cabbage, and Beets. August: Tomatoes, Peppers, Onions, Summer Squash, Zucchini, Cucumbers, Lettuce, Mixed Herbs, Carrots, Eggplants, and Garlic. October: Winter Squash, Rutabagas, Carrots, Onions, Arugula, Spinach, Mustard Greens, Salad Radishes, Turnips, Cabbage, Kale, Beets, Winter Radishes, and Garlic, Lamb and eggs available in the fall. Where to Find our Products: CSA Locations: Hudson, Poughkeepsie, White Plains, Croton, Brooklyn. 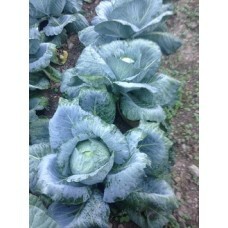 We also sell through Good Food Farmers Network in Scarsdale and various restaurants throughout the Hudson Valley.